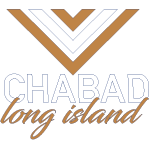 The mission of Chabad of the Beaches is to promote and strengthen Jewish awareness, pride and observance by providing educational, cultural and social activities to all Jewish individuals and families. Atlantic Beach through innovative, unparalleled and cutting-edge programming. Towards this end, Chabad of the Beaches has created numerous opportunities for enriching Jewish life in the local area and has established a working relationship with all segments of the local Jewish community. Through their wealth of experience facilitating camps and programming throughout the world, from Ireland to Israel and from Russia to Bermuda, Rabbi and Mrs. Eli Goodman have introduced a plethora of events to the entire Jewish community. No matter your level of involvement, Chabad’s educational, cultural and social programs are sure to find a place in your life.